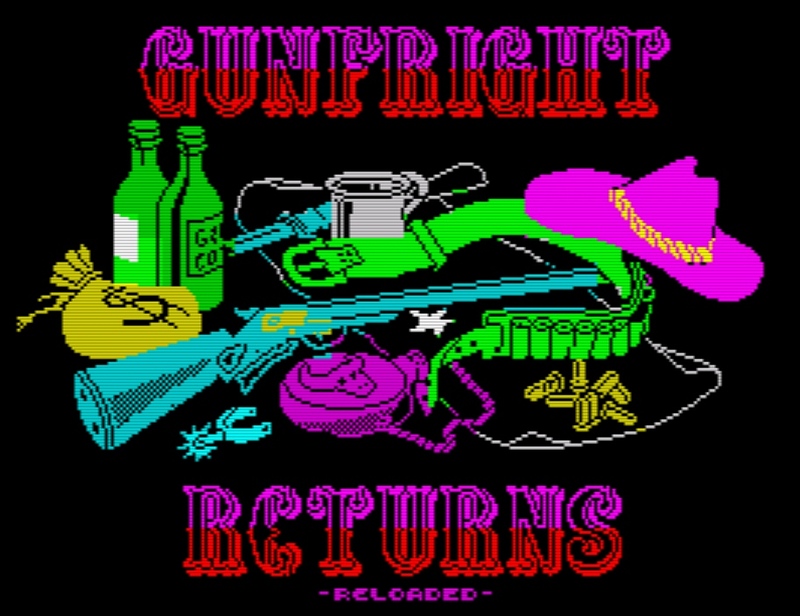 If you were an Ultimate Play the Game fan in the 80's, then this latest news which has appeared in our inbox might just interest you, as the Ultimate Play the Game classic of ' Gunfright ', has been enhanced for the ZX Spectrum as ' Gun Fright Returns - Reloaded Remix '. This game which was released in 1985 as an isometric action game written by Tim and Chris Stamper has now been given some rather nice improvements thanks to TomCaT , GoodBoy, tiboh and Panda! 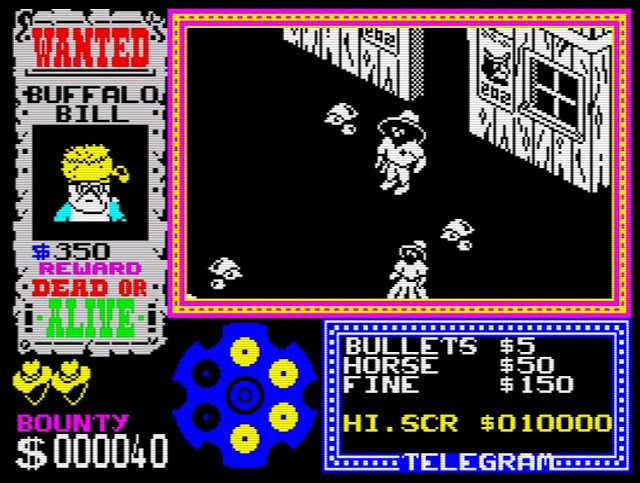 In this fine game you play as the Sheriff in the town of Black Rock and must take out all the bad guys that have appeared in your town. 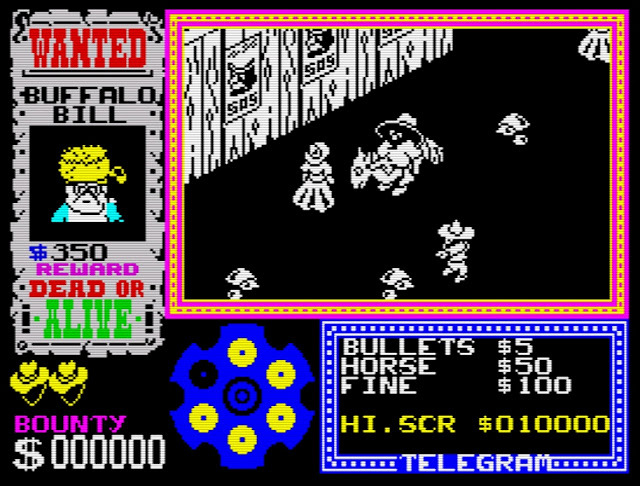 When one of the main wanted evil do'ers have been shot, you must fight them in a duel and the reward is yours. Just be careful not to do what I did, and kill everything in sight, as most people are just your average citizen walking about trying to enjoy peace! As for the latest additions to the game beyond the gameplay above, the team have added music and effects from the the Amstrad, there's now an added card generator (100 cards to choose from, or random from many thousands, and you can play in the original town of Blackstone), added mouse support for controlling the gun sight in the short mini games, and a rather large amount of options for changing the gameplay! Links : 1) Source 2) Translation 3) Download ( Current Build ) "TAP version is expected in the near future"